With our hospitals on high levels of alert and seemingly insurmountable pressures on the rest of the NHS and social care networks, now more than ever before the question is being asked: “what next for our NHS?”. The issues faced by our health and social care services are as complex as they are unprecedented. But the situation is not wholly hopeless – while there is no one ‘magic bullet’ to solve the current crisis and cut future crises off at the pass, there are solutions which have been shown to be effective when properly implemented. 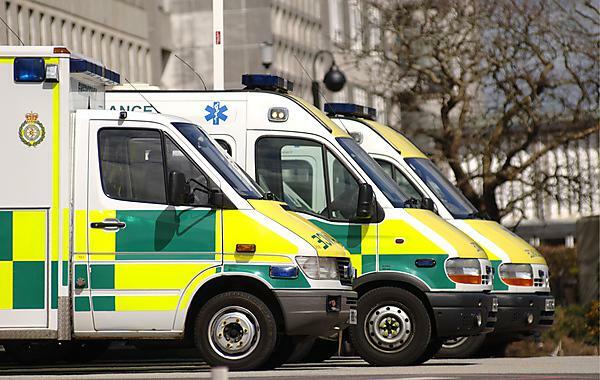 In recent months, an increasing number of hospitals have been put on level five alerts as pressures from emergency admissions have serious repercussions for bed occupancy and planned (elective) treatments. There is evidence that a significant proportion of acute hospital admissions are avoidable, and hospitals across the country have introduced a range of innovative initiatives to try to avoid these unnecessary admissions. Until we carried out our study there had been no research to investigate how well such measures work in practice and whether they meet the needs of patients. The research team, led by us at Plymouth University and including experts from the University of the West of England, University of Bristol, and the University of Exeter, investigated how the emergency departments and staff of four major hospitals (Bath, Exeter, Gloucester and Plymouth) responded to emergency care pressures and the experiences of their patients. We published our findings in the Health Services and Delivery Research journal. The research was funded by the NIHR Health Services and Delivery programme and supported by the NIHR Collaboration for Leadership in Applied Health Research and Care South West Peninsula (PenCLAHRC). We found that the likelihood of a decision being made to admit a patient to hospital was not determined solely by the medical diagnosis and perceived risk: it was also influenced by the seniority and experience of the clinical staff making the decisions, the patient’s social circumstances, access to certain investigations, the proximity of the four-hour target and the availability of time to arrange alternatives to hospital admission where these existed. However, the approaches taken to reducing unnecessary admissions varied considerably across the four hospitals, and it was evident that the various innovations had been developed to respond to local need. Some of the main innovations included a hospital based acute GP service, ambulatory care units, a range of discharge assessment procedures and teams for elderly patients, the availability of rapid access outpatient clinics, the use of observation areas where patients were not subject to the four hour target – allowing more time to gather vital medical and social information, observe, investigate and make arrangements that could avoid hospital admission. Early patient assessment by senior staff always played a central role in reducing admissions in all four hospitals, but their expertise was deployed in different ways, including in a purely advisory “controller” capacity supporting trainees and other frontline staff. For example, during this current crisis the Royal Devon & Exeter NHS Trust has put consultants at the point of reception in its Emergency Department, helping to effectively prioritise care and admissions. This study found that, on the whole, patients were very happy with their experience of hospital emergency care although they were also aware of the severe pressures on these hospitals, and there were certain areas of criticism from carers. For medical and nursing staff of all grades there were concerns around pressure of work, staff retention, but also the use of locum staff – an observation which emphasised the importance of good local knowledge of alternatives to admission and continuity of team and care. The fundamental problem is the high demand for hospital treatment, but the pressure on staff, recruitment difficulties and sometimes reliance on temporary staff also tend to contribute to admissions. The four-hour rule expedites treatment decisions - which is a good thing, but it seemed that many decisions about care were made in a rush in the final half hour, which may be why some of the ‘off the clock’ innovations we observed were thought to be successful in avoiding admissions. The results of our study showed that there is a range of different methods that hospitals can use to safely reduce numbers of potentially avoidable hospital admissions and improve patient care. Some of these approaches are already in use, whereas others could be more widely adopted or scaled up in ways that could contribute to reducing pressures on acute hospitals.